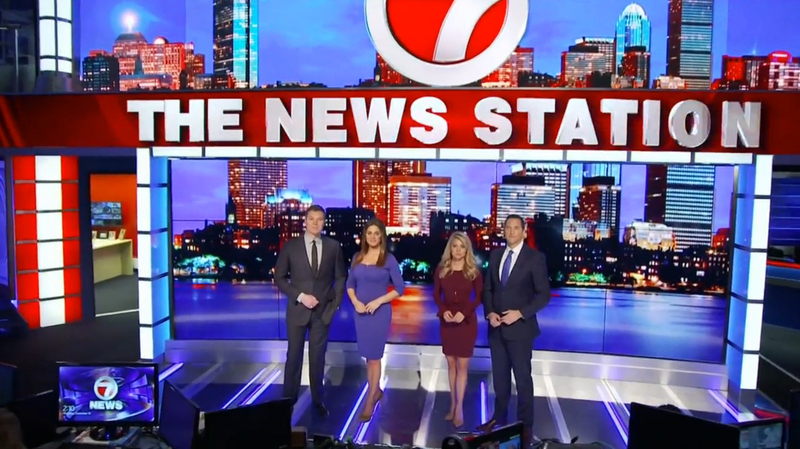 As it prepares to lose its NBC affiliation and expand its news offerings, WHDH in Boston has debuted an updated look for its famous Newsplex. 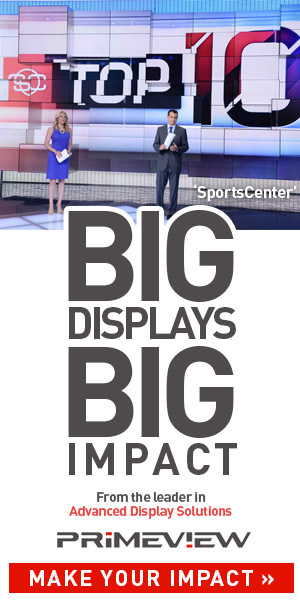 Perhaps the most prominent change is a wide LED video wall on the set’s second story balcony, which is frequently used for both topical and branding graphics from the anchor desk situated on the opposite side of the room and various standup shots captured with a jib. This new wall replaces a 4:3 rear projection screen, which also offers a bit of a brighter look, offers designers a larger canvas, and also all but hides the printed backgrounds that once flanked the second story screen. Below this, the station updated the video wall with lower profile panels arranged in a slight curve to create a more seamless look. Surrounding this array is an internally lit frame with thick metal bands. This look mimics the curved lighted columns on the previous version of the set, some of which still remain. This new motif is also found in other areas of the set, including to the right of the assignment desk, which now features a vertically mounted flatscreen for standups. Also added is a transparent glass and metal riser in front of the video wall, giving talent a more defined area to stand when using the video wall as a storytelling tool, including for weather and other standups. The set updates come two years after the latest upgrade, which included adding an LED video ribbon on the edge of the balcony. WHDH is starting 2017 with a challenge when it loses its NBC affiliation Jan. 1 after a lengthy legal battle. The station is significantly ramping up its newscast production, with a morning block running from 5 to 10 a.m., then from 4 to 7:30 p.m. and 9 to 11:30 p.m., with a mix of syndicated talk, court, game show and other programming taking up the rest of the schedule. WHDH is known for its flashy and over the top on air presentation, which includes bold graphics, plenty of camera movement and talent positioned throughout the Newsplex set. 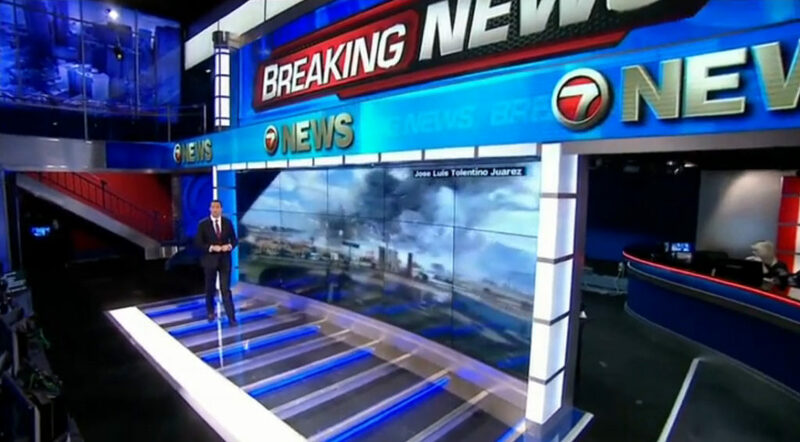 The Boston iteration is often said to be a “tamed down” version of that at sister station WSVN in Miami, which received similar updates in 2015.